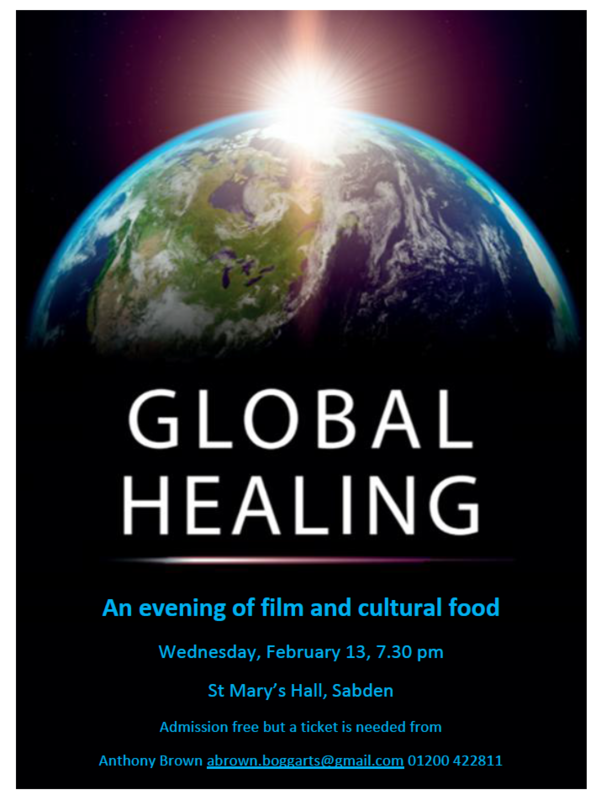 GLOBAL HEALING Wednesday February 13th in St Mary’s Community Hall, Sabden at 7.30 pm, an evening of film and cultural food to learn about the environment and how we can protect it. Admission free by ticket only from Anthony Brown 01200 422811. Bishop John was very pleased to hear that our plans in the Parish include Global Healing and has asked for any feedback we can give on how our Live Simply group is developing in relation to Hope in the Future. Posted in Laudato Si', Sabden.